Our School offers Nursery Classes for A- and B- grade Primary School students. The special methodology employed in these classes emphasises spoken language and focuses mainly on the acquisition of relevant skills. Children learn a basic vocabulary and practise the use of phrases in order to interact and communicate with their peers. In this way, they become familiar with the foreign language in the smoothest possible way and at the most appropriate age. By the end of the school year the results are really impressive. During summer, children are given the opportunity to take advantage of their free time by attending 2-month intensive courses. These summer courses allow students to make significant progress by covering all the material of an English class through short-term intensive study. Every year an increasing number of adults decide to master a foreign language or start learning a new one. It is time for you to improve your skills, rise professionally and excel in your field by learning a new foreign language in a properly designed environment, which allows you to work in small groups. We offer subsidized all-year-round programmes for working students. It is worth noting that Androulakis Schools has established the only Foreign Language Centre operating exclusively for adults in our area. 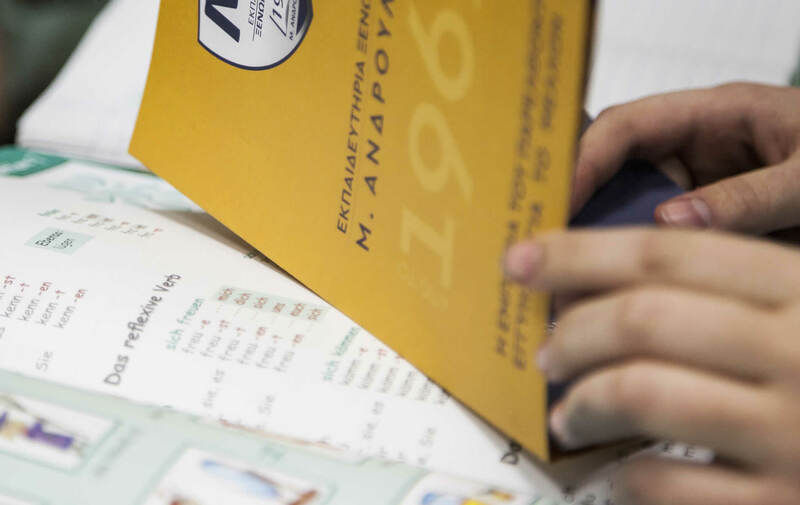 If you come from a foreign country, you can learn Greek in our School with the help of highly qualified teachers (University-degree holders in Greek Language and Literature, who are specifically trained in teaching Greek as a second language). You will be amazed at how swift your progress and familiarization with the Greek language can be. Students who are holders of the FCE (“Lower” certificate) but are unable to immediately advance to the Proficiency Level because they are currently attending Senior High School and have severe time and workload restrictions, are provided with the unique opportunity to attend “maintenance” classes free of charge. These classes take place once a week and they enable our students to keep in touch with the foreign language so that they can continue their studies at the end of the University Entry Examinations.